It’s not too hard to see what makes mrUsta so appealing to its 350-odd client base. Let’s put it this way: if you’ve ever had to frantically search your contact list or ask friends for recommendations of a maintenance company after one of the pipes in your apartment bursts, mrUsta can come to the rescue. 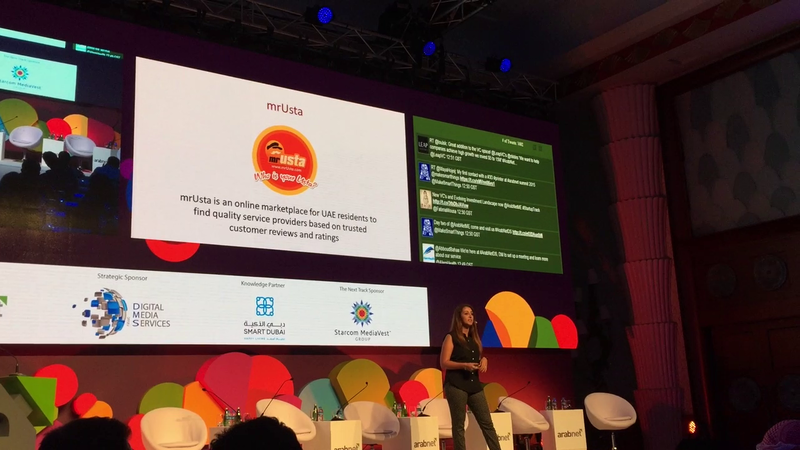 As a platform that aims to provide an easy way to find service maintenance companies or quality trades people based on customer feedback, from air conditioning services, to electricians, painters, plumbers, cleaning services, moving companies, appliance repair and more, mrUsta can be your go-to place in ensuring services. Initially bootstrapped by its founders, mrUsta now has several revenue models in development. The first revenue stream is to charge the Ustas (which refers to the service providers, as it means ‘master’ or ‘guru’ in Arabic, Turkish, etc.) for leads, following a pay per lead model, whether it’s a call, message or they reply to a job posting. Another is the advertising route for companies to secure an ad space in relevant categories to clients in need of its services and products. The third revenue stream is by creating reports based on data for companies to find and know their demographics. In terms of investors, Ibrahim Colak, founder and CEO of mrUsta, says the company was on the lookout for “smart money”- i.e. an investor that would not only invest, but also understand the business’ model and vision, and has a strong industry network. “We raised a seed funding round of AED1.3 million led by Amjad Ahmad [former CEO of NBK Capital Partners, a private equity firm in MENA],” says Colak, adding that over the past 12 months, the team has been pitching to investors motivated by the substantial growth both from users and service providers. With respect to mrUsta’s business value proposition, for clients, the platform provides a trusted source of local service providers based on reviews and ratings in a convenient way, saving users time and money. For Ustas, it’s providing an online presence for them, allowing for visibility and also to generate new client leads, plus the startup can present them with a targeted audience seeking their services, which in turn, increases the prospect of gaining customers. Colak asserts that, compared to other local and regional concepts, mrUsta’s forte is that it provides different services based on customer ratings in an easy way and ask quotations from a variety of service providers. From the Ustas side, the startup uses various recruiting methods- one way is physically going to a company’s headquarters and getting them to visit the site, offering a “recommend your Usta” option for clients and online sourcing through the startup’s interns, with “roughly 20%” registering themselves organically. the main criteria that the team ensures ustas have is that they are a legitimate Usta, ensuring it by meeting them face to face, whether they have a website, a working phone number and if the company has been mentioned elsewhere online. And it’s a strategy that seems to be working, as colak claims that the startup, even with a limited marketing spend, has had positive traction over the last year of operation. According to the CEO, from the 1500 Ustas listed from launch, it went up to 3500 listed companies in 200 categories. From the client side, currently, there are 350 users, with 35-40% contracting the companies over the site. What do they have in mind for the future? Now that they’ve raised their latest round, their plans center on technology improvements, client marketing and Usta development. An update of its website with an improved user experience, along with mobile apps for iOS and Android, increasing marketing efforts, and building closer relationships with existing Ustas and acquiring new Ustas are also next on the agenda. The startup has four founders: 35-year-old CEO Ibrahim Colak has a background in engineering and marketing and digital marketing and approached his ex-colleagues to develop the concept. 34-year-old CMO Dunia Othman is also a co-founder, whose experience is on marketing and business development. There’s also 32-year-old CTO Onur Tepeli who has experience in software development from different industries such as finance to telecom, while 40-year-old CFO Serhan Yazici’s background includes roles in civil works and project management in international blue chip companies. > “Your partners/co-founders are essential, they need to truly believe in your concept and be committed to be with you. At the same time, your skills [need to] complement each other.